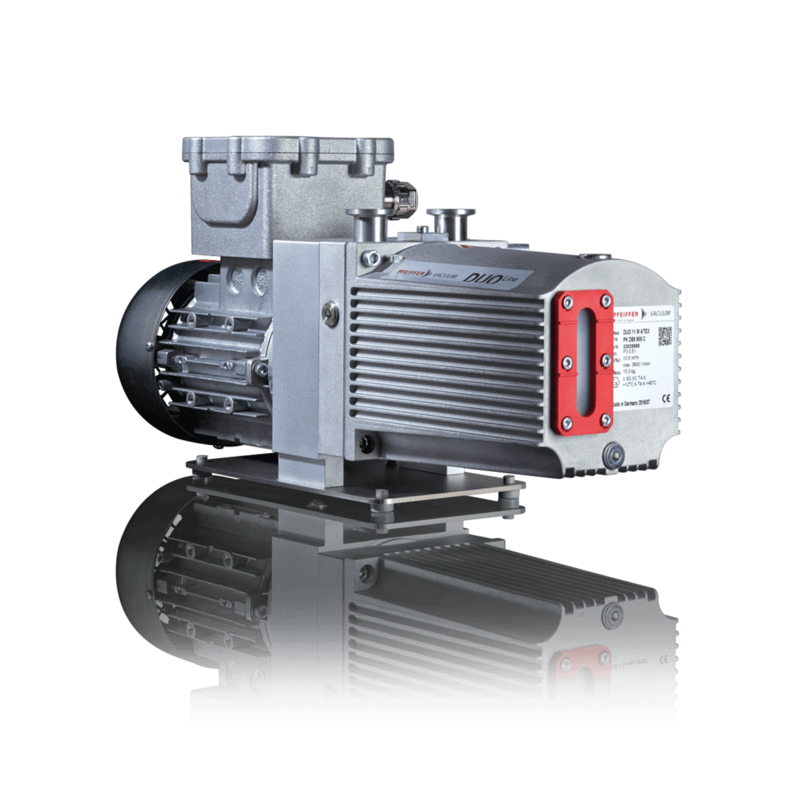 Pfeiffer Vacuum has developed the Duo 11 ATEX rotary vane pump especially for processes that take place in explosive environments or for evacuating explosive gases and vapors. It is certified in accordance with ATEX directive 2014/34/EU and meets the high requirements for explosion protection. The ATEX certification is valid for the interior and exterior of the pump. The pump corresponds to equipment category 3G and temperature class T4. All gases up to explosive group IIC can be pumped. coupling provides additional safety that is particularly important when the pump is used in potentially explosive atmospheres: No gases can leak through defective seals from the interior of the pump to the exterior. For the operation of the pump, the terms of the operating instructions apply. We are pleased to provide you with the right solution for your specific application!